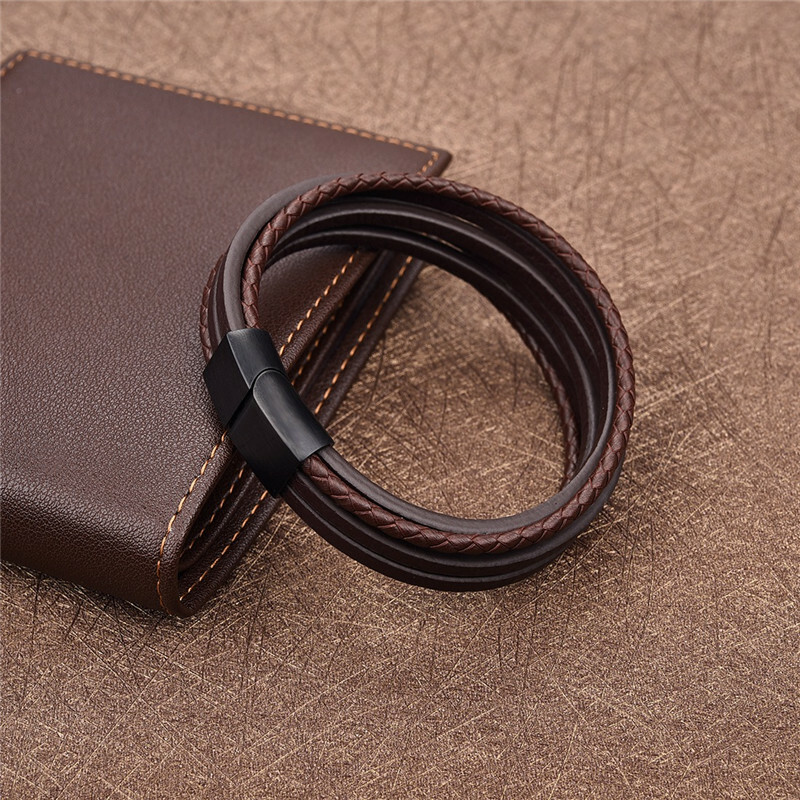 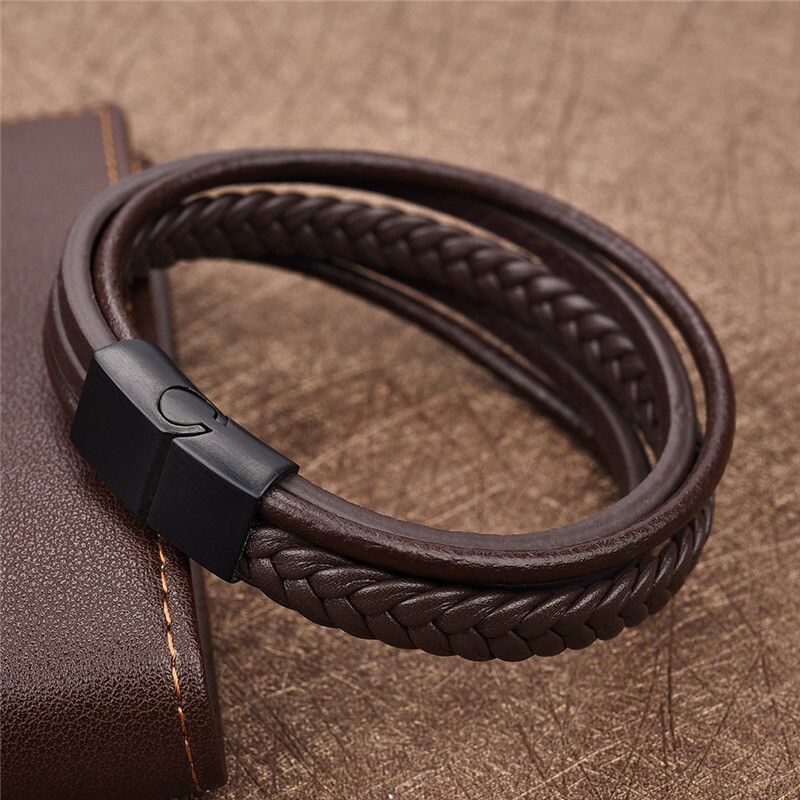 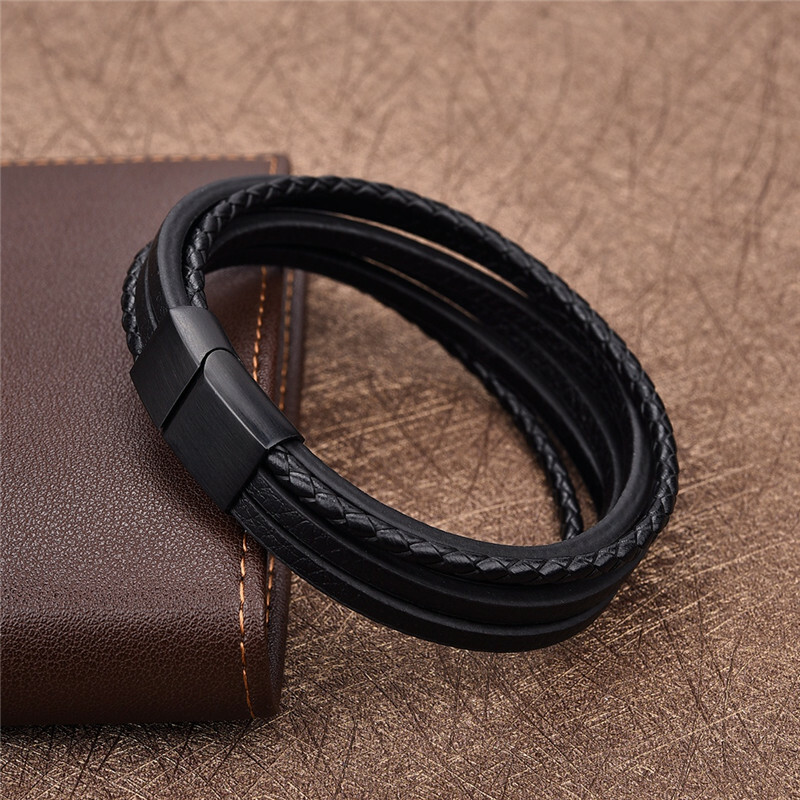 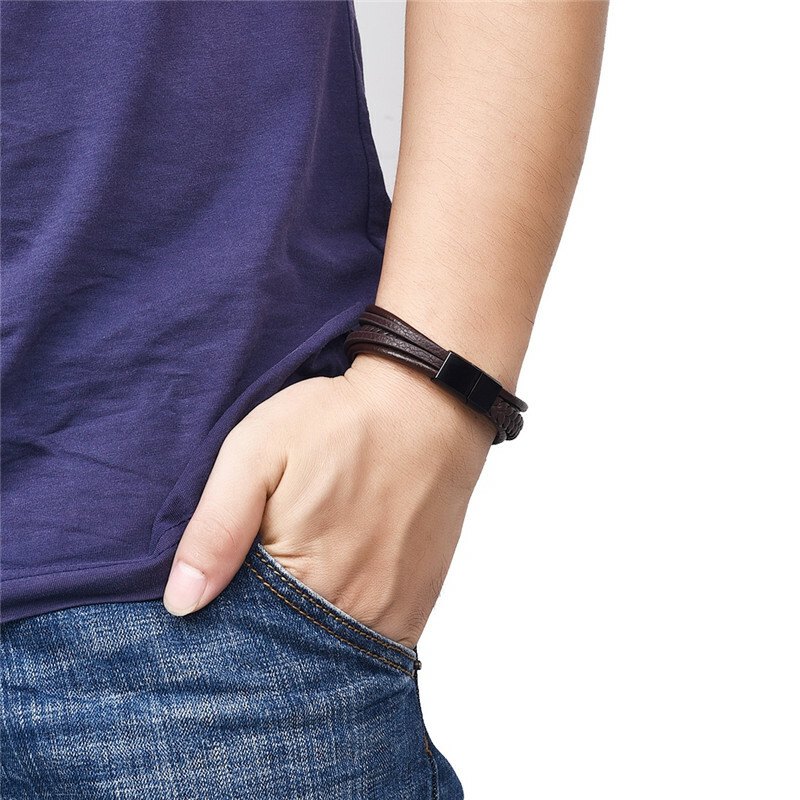 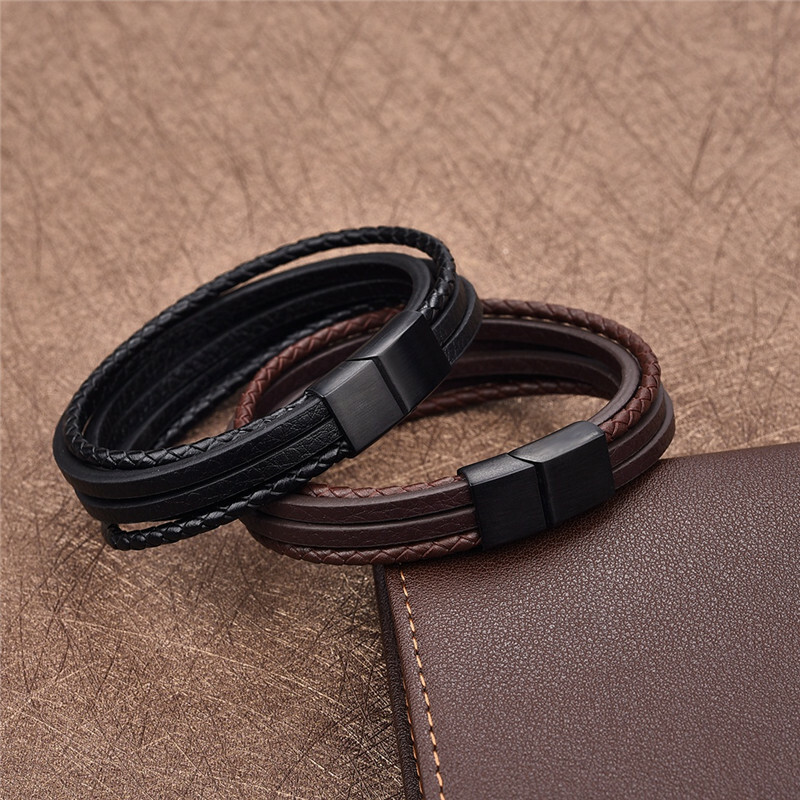 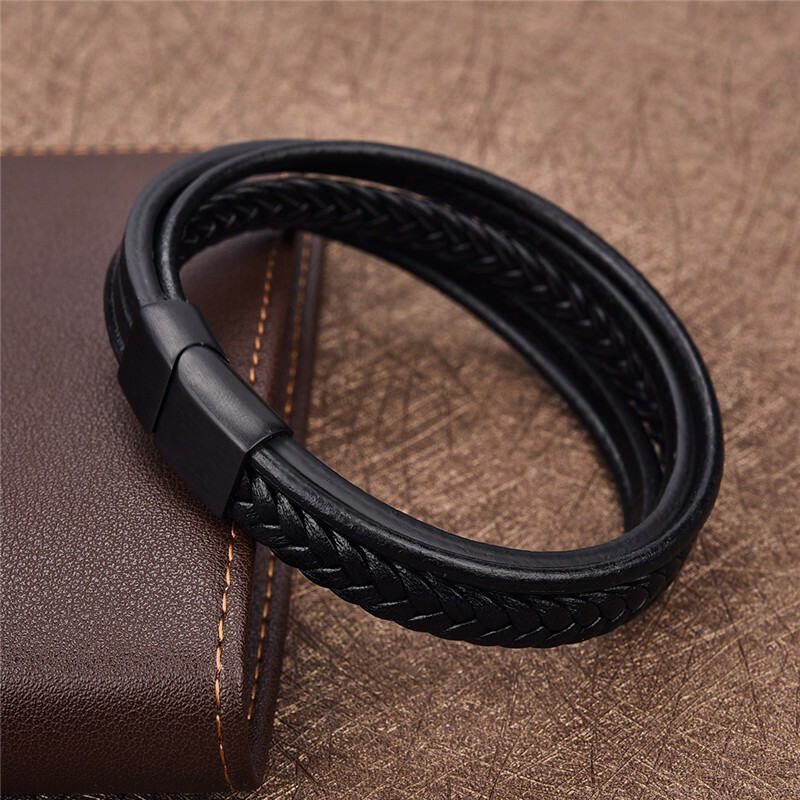 The extent to which high quality standards are manifested by this Punk Braid Leather Bracelet is astonishing. 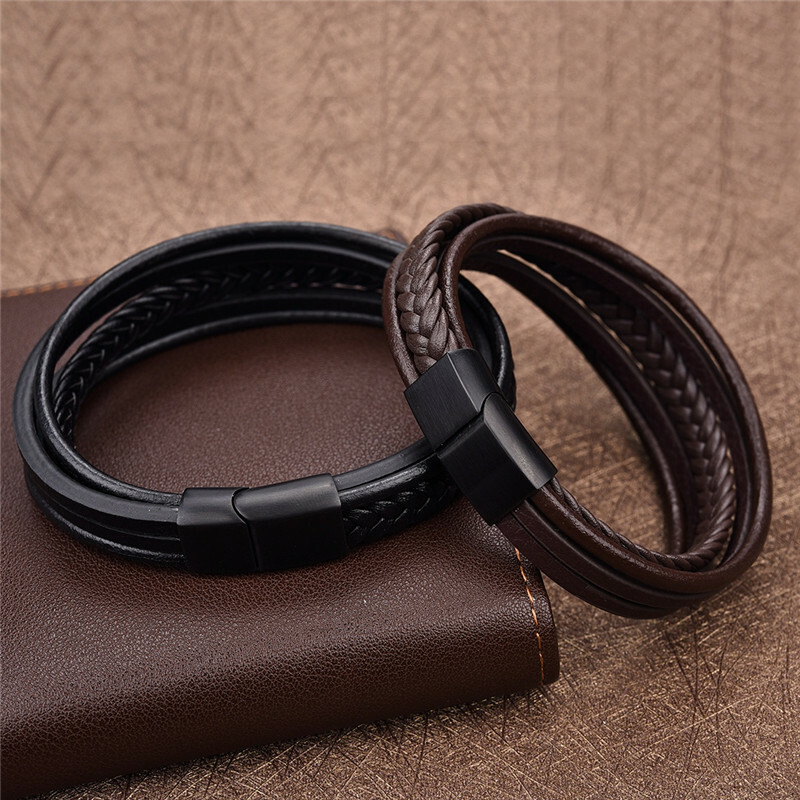 A combination of woven and rope leather and steel components punctuate a stylish look, adding a contemporary edge to the bracelet. 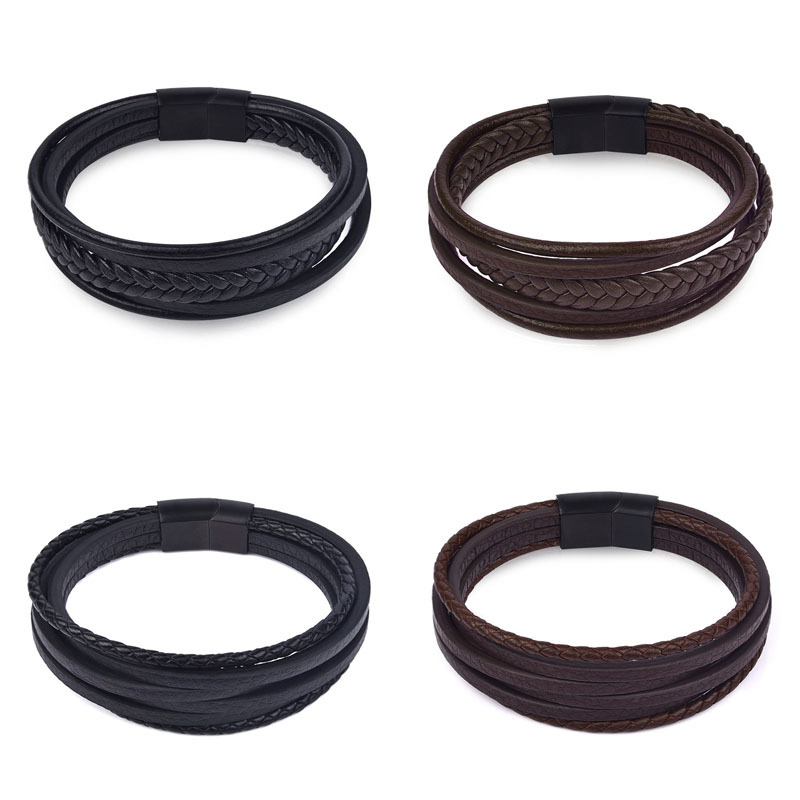 This accessory contours comfortably onto any wrist giving the ideal glamorous appeal that complements any look.